Iwate is still undiscovered by most powder travelers who come to Japan. It's remote location means that a weekday can see as few as 20 ski patrons at an entire small resort. That means cheap lift tickets, zero lift lines, and days of powder skiing without any competition. If you're a ski traveler fed up with the prices, lines and overall production of the bigger resort areas in Japan, you'll find Iwate to be an oasis of cultural authenticity, peaceful riding, and plenty of untracked powder. 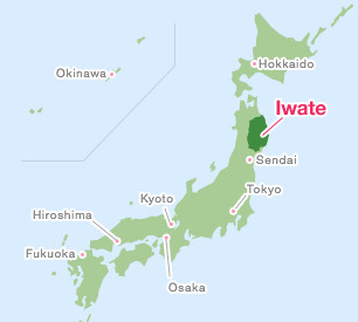 Why Iwate? Iwate gets lots of high quality snow. The king of snow in Iwate is undoubtedly Geto Kogen which competes with resorts like Niseko and Hakuba for the deepest snowfall each year. There are 7 ski resorts and 3 CAT operations within range of Morioka (the central point of arrival for skiing Iwate). Basing in Morioka City, that means you can access all kinds of climate zones within a 1-1.5 hour drive which keeps your trip flexible and allows you to Storm Chase the best snow on a given day. What about the nightlife? Most skiers don't want to sit stranded in a hotel after a ski day. Most want to get out, walk around and have an après ski. If this describes your style, basing in Morioka is perfect for you. Downtown Morioka is a real Japanese city with innumerable bars and even a few craft beer facilities. Unlike the cold-shoulder-tourist feeling skiers can get in overrun ski towns, locals here are beyond thrilled that you've come to their little corner of Japan.